Is Live Blogging Theft & Plagiarism? A Search Engine Land Column is a good piece of content, but if you skip it and go to the comments, the discussion, you will see a really interesting debate going on about live blogging conference sessions. You have Shari Thurow, a long long time speaker at SEO/SEM conferences, call live bloggers plagiarizers and a "bad habit" that has to stop. Yea, it is insulting but really, is what we do really stealing and plagiarizing content? (1) We always attribute, always. (2) We never are able to write it word for word, we summarize what they are talking about. (3) We miss a lot of what they say because it is almost impossible to cover it all. (1) Publicity for their conference. (2) Speakers, 99% of them, love the coverage. (3) It gives the event organizers great feedback on speaker talent and content. Like I said, most speakers love that we live blog them. Heck, I speak a lot as well, and I so appreciate it when there are live bloggers capturing what I say. I also run conferences and try to get live bloggers to attend. I want live bloggers there. 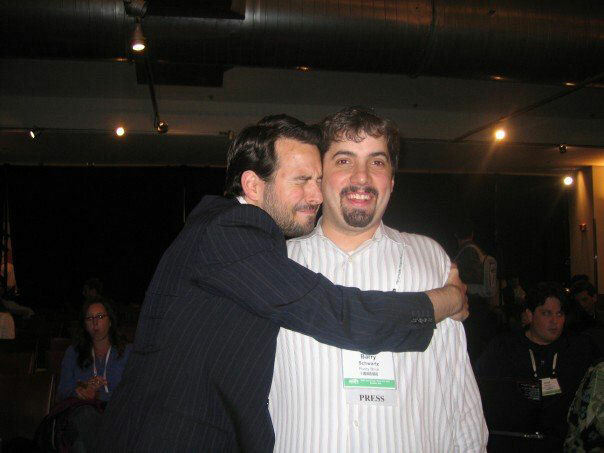 Yea, that is a picture of Rand Fishkin hugging me while at a conference. A speaker who is in high demand around the world, hugging a live blogger! How dare he! Again, I organize conference, I moderate panels, I speak at events (both keynote and normal speaking) and I live blog. I have done it all. Organizing conference is by far the hardest. But I would say live blogging is harder than speaking or moderating panels. Why? Well, 3-4 day conferences, 8+ hour days, it is exhausting and sometimes boring, covering the topics. Live blogging is just not a fun job and is really tiring. 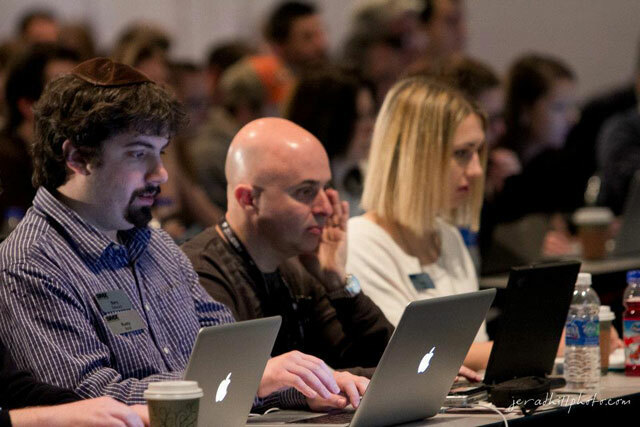 I put a ton of time organizing live blogging schedules and live bloggers before and during the conference. And then the non stop listening, typing and publishing is tiring. If I can read the live blog or article and basically get nearly the entire presentation, that is plagiarizing and darn near a copyright violation, especially if it is a paid event (I consult with my attorneys on this, and it is always best to consult with intellectual property attorneys on this matter.) Why should anyone pay to attend an event when they can get the goods for free? Plagiarizing is not only disrespectful to the speaker. It is also disrespectful for the event holders. I certainly don't see it as somehow plagiarizing our events. For one thing, most live blogging I see fairly attributes what's being said to the speaker. If you have attribution, you don't have plagiarism. As for a copyright violation, again, so little relatively speaking is being reported that I wouldn't see this as an issue. In my experience of running events for over 10 years now, I've never had any speaker see this as an issue but Shari. If live bloggers at our shows want to respect her wishes not to be live blogged, that will probably save you hassle with her. But it's not something our shows insist upon. Conference presentations are public events. We have absolutely no ability, legally or ethically, to stop people from liveblogging, tweeting, texting, phoning or expressing themselves in any other way while they're attending the conferences. And frankly, most liveblogging almost of necessity consists of incomplete snippets or interpretations of what speakers say. That's not plagiarism. Traditionalists typically don't consider it "reporting," in the journalistic sense, either. In most cases it's just stream of consciousness interpretation of what the liveblogger is hearing. I've been insulted before when it comes to live blogging and asked if I should give it up. I really should because it is tiring and honestly I dislike doing it. But I know there are so many people who can't afford to come to a conference that do get a bit of help from the live blogging I, Lisa, Marty and others do. We don't do it to rip off speakers, we do it to form a bond in the community and help the industry just a little bit. That being said, I welcome live bloggers to the iSEO panel at SMX Advanced, which I am moderating and to SEMSEO Conference in Germany which I am keynoting at. Forum discussion at Search Engine Land Comments. 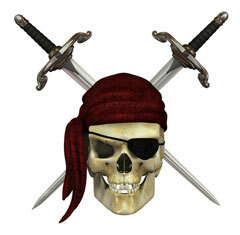 Image credit to ShutterStock for skull and cross.